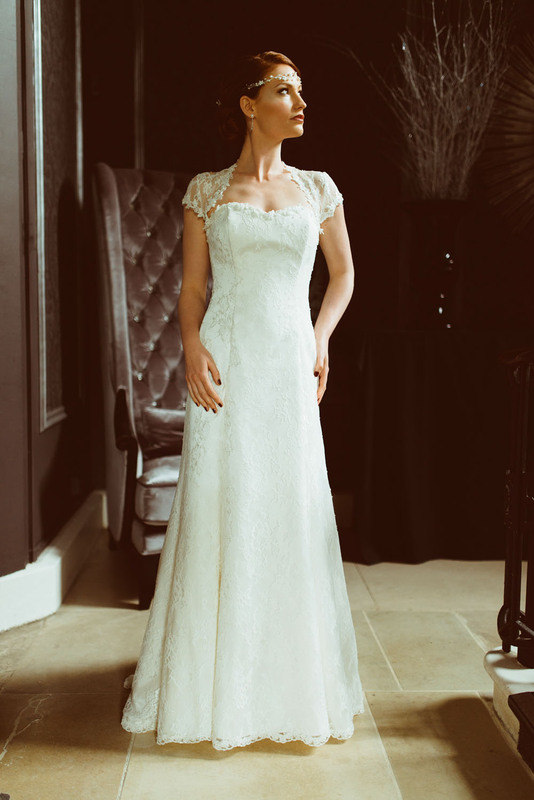 A semi fitted column dress made in a fine corded lace to show off your curves. 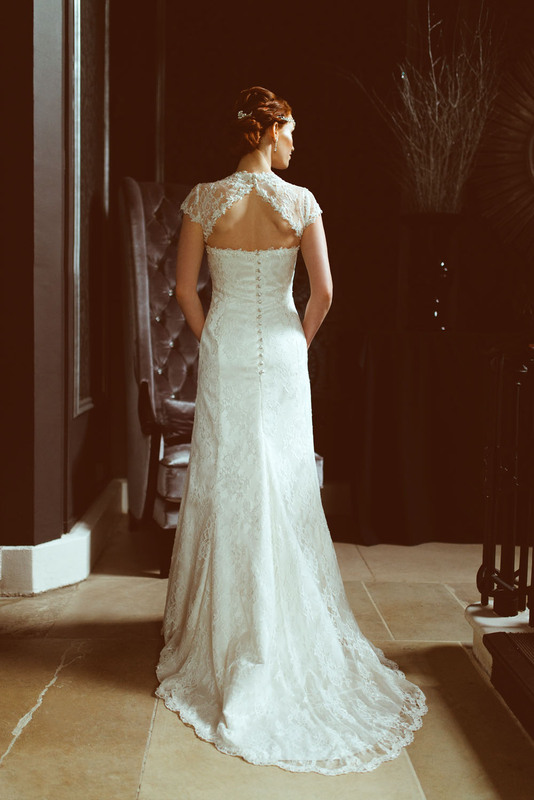 Covered buttons and a beaded trim are the understated features of this design. Wear with a keyhole shrug and a brow band to complete the simple Gatsby look.